As if founding and running Portland’s own nonprofit poetry publishing house, Tavern Books, wasn’t enough, Michael McGriff and Carl Adamshick have started another incredible project. It’s called Poetry State. I’ll just say that if it were a state of its own, I’d have to move there. Since it’s actually a project designed to benefit library patrons in the state where I live, I’m feeling pretty lucky right now. 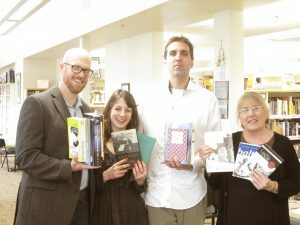 I recently got the chance to talk with Natalie Garyet, Managing Editor of Tavern Books and, according to Michael McGriff, “the driving force behind Poetry State,” about just what Poetry State means for Oregon. Our conversation follows. 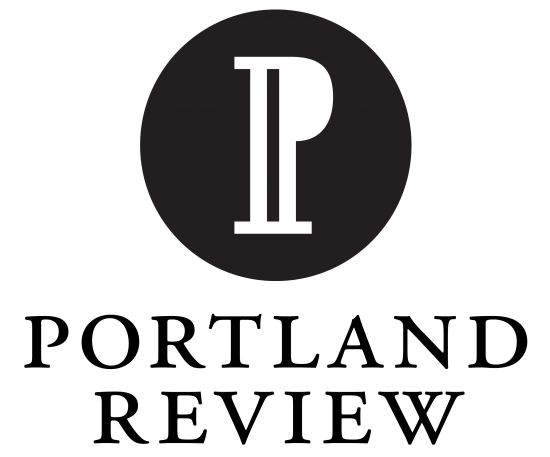 Natalie Garyet: Poetry State is Tavern Books’ ongoing campaign to build and sustain the circulating poetry collections in Oregon libraries. 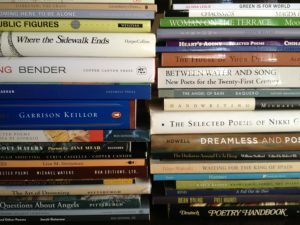 We collect donated poetry books from publishers, individuals, and bookstores (in addition to purchasing new titles) and then distribute them free of charge to libraries across the state. Any Oregon library is eligible for a donation, but we focus our attention on those serving rural and Tribal communities and Oregonians in need. And we don’t limit our scope to traditional libraries; we also provide books to alternative book-lending programs and social services like Multnomah County Library’s Shelter Program, Multnomah County jail libraries, and Street Books, Portland’s bicycle-powered mobile library. So far, we’ve donated over 2,500 books to 19 libraries and programs. RP: How did the project start? NG: When Carl Adamshick and Michael McGriff founded the press, they wanted to establish a national publishing entity while still engaging with our immediate community in ways that reflect the mission and purpose of Tavern Books. 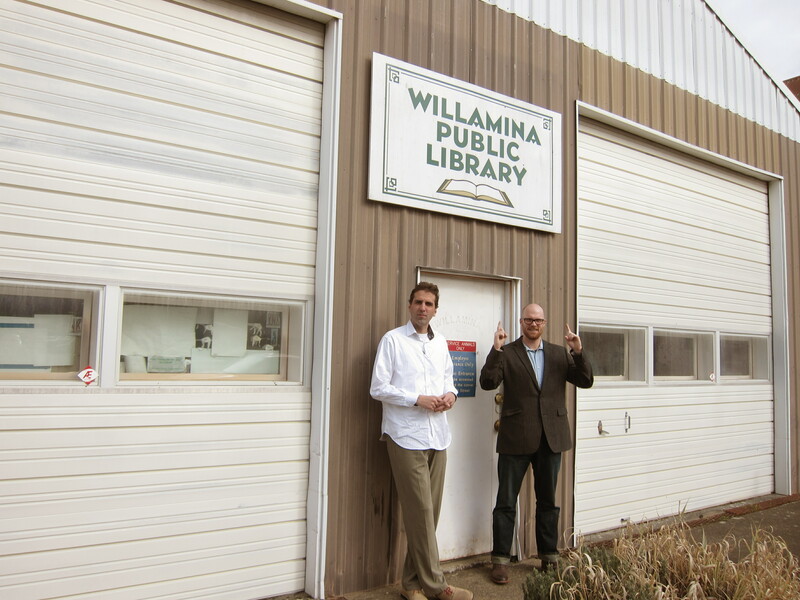 Both Carl and Mike grew up in small, rural towns whose libraries had fairly modest holdings, so they knew that the need for a program like this existed. They also knew that if they put out the word, many people would be more than willing to part with books for the cause. The other key person involved in the inception of Poetry State was Oregon’s Poet Laureate and Tavern Books board member Paulann Petersen. Paulann regularly travels around the state to bring poetry to Oregon’s most rural and under-served communities, meeting with librarians and library patrons along the way. Last year, whenever she returned from a trip, she would report back to Carl and Mike about the needs expressed by librarians she met. Together, Paulann, Mike, and Carl designed Poetry State to address the demand for larger, more inclusive collections. As soon as word got out, books began inundating Carl’s house. White Pine Press in Buffalo had an entire pallet of their books delivered to us! 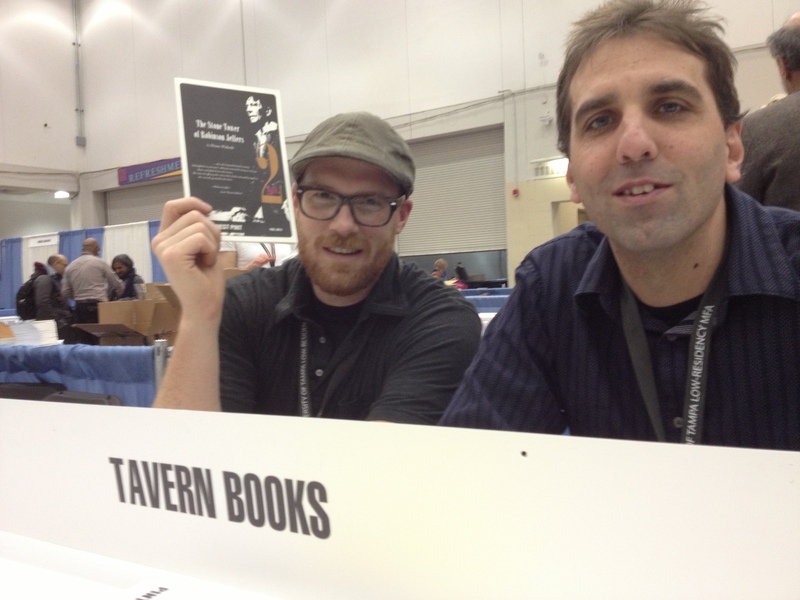 RP: How do you see Poetry State fitting in to Tavern Books’ mission? NG: The Tavern Books mission is to print, promote, and preserve works of literary vision, to foster a climate of cultural preservation, and to disseminate books in a way that benefits the reading public. Poetry State was built to encompass all elements of that mission. The program obviously involves the literal dissemination of books, but on a larger scale, we also hope to inspire a greater demand for poetry within communities through the preservation of great works of poetry in libraries. Access is very important to us, too. We don’t want patrons in more remote towns to be required to request books through interlibrary loan because their library doesn’t have an acquisitions budget; we want each library to have its own culture, its own draw and appeal—and part of what’s required to foster that type of culture is the presence of physical books! We hope, through our contributions, that we can help libraries maintain their identities as destinations, not just processors of requests. RP: Where have you seen the greatest need for your service? NG: We’ve had the most unsolicited requests come in from alternative book-lending programs and social service providers in Multnomah County, but we realize that’s largely a function of the fact that we operate and have the most visibility within that county. Across the board, libraries in rural and smaller communities that we’ve approached have indicated that their poetry collections are insufficient due to a lack of funding for acquisition. One librarian in Polk County told us that we had doubled her poetry collection through one donation. Another librarian told us that she previously had fewer than 20 adult poetry collections and only 3 in her young adult section. Many of the Tribal libraries we’ve contacted specialize in Native American literature and history, and have expressed the wish for titles by Native American poets. RP: Have you been able to collect any data on how library patrons are using the collections you donate? NG: We don’t require librarians to report circulation data for our collections, so usage is difficult to quantify, but we continue to receive anecdotal testimony about the effectiveness of the program. We give our partner librarians a chance to provide post-donation feedback, and so far we’ve heard again and again that patrons have taken an interest in the new titles. 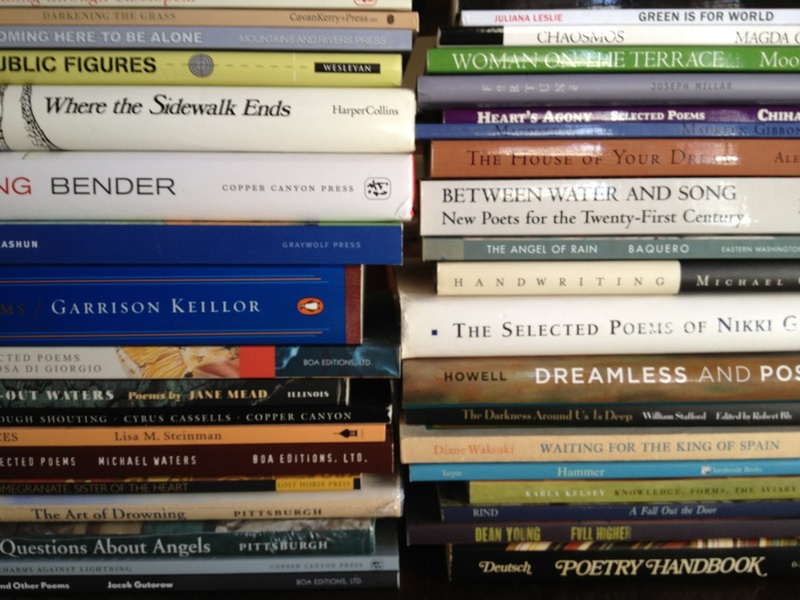 A shelter program coordinator we work with recently told us that he gives out approximately 20 poetry titles a month to his patrons. His program serves day drop-in centers, drug and alcohol rehabilitation facilities, social services centers and domestic violence shelters. RP: What has been the biggest surprise as you’ve worked to start and implement the project? NG: We’ve begun to realize through our correspondence with librarians that book donations can be a burden if they’re not tailored to the specific needs of the library. The reality is that many don’t have the staff or resources to shelve and catalog hundreds of new books. Quite a few librarians have given us request lists based on patron demographics and interest areas, and some have even deferred acceptance of a donation until we can provide specific titles or poets. This means that we’ll begin purchasing books rather than relying on our current stock to fulfill the requests. 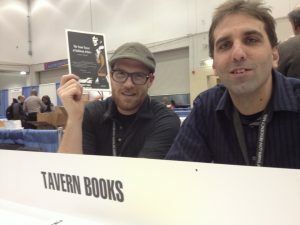 RP: What’s next for Poetry State and Tavern Books? NG: Last month, we were awarded a grant from the Spirit Mountain Community Fund to support the next phase of the program: purchasing titles based on librarians’ needs. We’ve started contacting previous recipients on our roster to gather information on what gaps exist in their collections and what they think would enhance their holdings. After doing this research, we’ll purchase customized collections for each of the libraries and send them off! RP: How can people help? NG: We’re always accepting new and gently used poetry books to add to our stock. You can visit the Poetry State page on our website for details on how to donate (www.tavernbooks.com/poetry-state). Right now, there’s a particularly high demand for bilingual works and children’s poetry. Monetary donations to the program are also greatly appreciated, and can be made through the “About” page on our website: http://tavernbooks.com/about. We love when people refer us to libraries that could benefit from our program. If you know of a library or a program in need, let us know and we’ll be sure to reach out to them. Check out these photographs from Tavern Books’ recent Poetry State trip to Grand Ronde and Willamina where they accepted a grant check from the Spirit Mountain Community Fund and visited two of their partner libraries, the Grand Ronde Tribal Library and the Willamina Public Library.